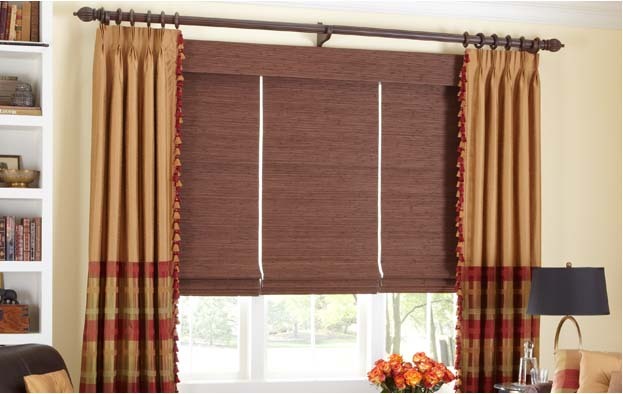 Flat Fold Roman Shades with Valance and Blackout Liner - by Exciting Windows! Custom pleated side panels to frame a window. Decorative trim & banding for embellishment. Decorative fluted rod with finials. Add warmth and style to your room with this rich look! Flat roman shades in a solid fabric, combined with the stationary side panels that frame the window, maximize the opening size of a group of windows while also providing warmth. Let us help you personalize your home today.